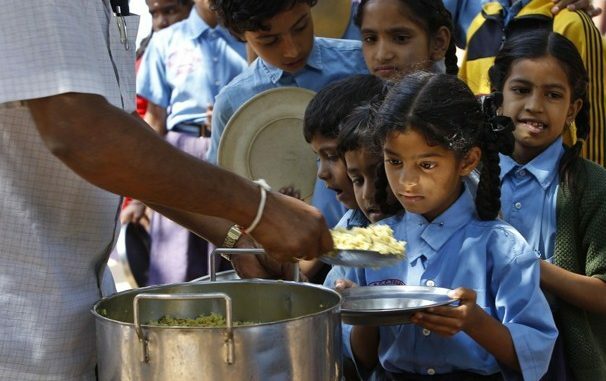 Every time a “hunger index” comes out, it attracts wide publicity and discussion. Nobody seems to notice that the “hunger index” doesn’t measure “hunger” at all. The author and consultant for the Indian part of the “hunger index” admitted that the index is mostly about child stunting, wasting etc, which have collectively come to be called “child malnutrition”. If the real problem is child malnutrition, then we need to understand this problem and find solutions to it, as we did over the last decade. When this author found objective survey data on “hunger” in India, both the Planning Commission and the Economic and Political Weekly vetoed its publication. Why? Possibly because it threatened too many intellectual vested interests. India’s under three-year-old child malnutrition rate was double the poverty rate and 20 times the percentage of the hungry in India (percentage of households in which any member had less than two full meals, on any day of the month, that is, even one day without two square meals counts as hungry). There are three broad aspects of malnutrition that must be kept in mind when devising strategies for dealing with it. One, the ability to access food items. This depends on household income or the ability to sustain certain levels of consumption. The rate of poverty (headcount ratio) is the standard indicator. Two, household/family knowledge and information about good nutrition. This includes knowledge about locally available foods that are good from the nutrition perspective. This can be based on: Traditional knowledge (old wives’ tales); the ability to read coupled with the availability of appropriate reading material on nutrition; access to media such as newspapers, radio and TV, coupled with propagation of such information on radio and finally, special programmes like the ICDS that directly educate mothers about child rearing and nutrition. Three, the state of health. Even if the right kind of food and nutrition is available, a child may not be able to consume and/or absorb it properly due to ill health or sickness. For instance, a child suffering from diarrhoea much of the time is unlikely to be able to ingest good and healthy food and absorb the nutrition, even if it is freely available and provided to the child by the mother/parents. Historically, it has been demonstrated across many countries that public health measures like clean drinking water, sanitation, sewerage, control of communicable and epidemic diseases and public health education play an important role in reducing mortality rates at every age and across gender. In the Indian environment, access to water and toilets, breastfeeding (to impart immunity in an unhealthy environment), access to sound health advice/treatment, the prevalence of vaccination and availability of vitamin supplements are possible indicators. Poverty affects cross-state differences in child malnutrition and it has to be addressed through economic growth, reform of welfare programmes etc. Our research confirms that average per capita GDP is an important determinant of poverty. The empirical results also justify an added focus on rural roads and telecom connectivity (in addition to the general effects found earlier) to the extent that they promote the development of agriculture. The research also showed that the consumption share of the bottom 40 per cent of the population is an important determinant of poverty. Research on cross-state differences in child nutrition outcomes shows that the greatest social welfare benefits from direct intervention by the government to improve the lot of the bottom 40 per cent can come if it focuses on two long-neglected quasi-public goods. First, public health including communicable disease and vector control, quality drinking water, drainage, sewerage and solid waste disposal in every city, town and village in the country. Household and public toilets are an element of the solution but nowhere near the complete solution. Second, universal primary education and literacy to a global standard that is visible in learning outcomes. Improvements in public health education and public health facilities clearly have positive effects on nutrition outcomes. The ICDS programme seems to have helped in providing public health education to mothers and thus contributed to the outcome. The policy implications, however, extend beyond nutrition to other health outcomes. A comprehensive programme for improving public health to a defined standard is necessary to remove visible symbols of the divide between rich and poor that slums and other neighbourhoods with poor drainage and sewage create. For every existing town, states must plan and install a modern drainage, sewerage and water supply system with water storage and purification, sewage treatment plants and garbage disposal sites. The impact in terms of economic activity, health and nutrition can be enormous. This brings us back to the broader question of other quasi-public goods that are of critical importance to the poor. Literacy can help in acquiring knowledge about hygiene, nutrition and sanitation. The government must ensure that every citizen has the education that she is supposed to acquire with the completion of primary education. But this education must also be made more relevant by providing information on matters that will improve their lives (health, hygiene, nutrition) and equip them to find useful information. Our cross-country results show that the quality of public health, as measured by variables such as access to better sanitation and improved water sources, is an important factor in explaining cross-country variations in the prevalence of malnutrition. It indicates that improvements in environmental sanitation could have a significant impact in reducing malnutrition in India. It also confirms the importance of primary education, particularly of females, in helping spread information and knowledge about personal hygiene, sanitation and nutrition. Much more could, however, be done through appropriate school curricula and media campaigns to promote public health education. About the Writer : The writer is president, Forum for Strategic Initiatives.